The Winter House has been heavily influenced by my belief in the continuation of spirit beyond physical death, and the law of karma; that every action – whether good or bad – will be repaid, in this incarnation or a subsequent one. I am a great believer in places absorbing atmospheres from those who pass through them. I'm also convinced that we carry within us memories of places and people we've known in previous incarnations. What we call 'love at first sight', for instance; I believe this is more a recognition of someone we shared a previous incarnation with. As explained in The Winter House, there is a theory that souls form into groups between lives and work on plans to reincarnate together in various ways. It's a bit like an amateur dramatics group deciding what their next production will be and who will play which part. Your parent in this life might have been your child previously, a lover may have been an enemy, or your current boss may have been, at one time, your slave. And the same goes for places. One winter day in 1985 I was driving along a country road near Lancaster and saw, half-hidden through a belt of leafless trees, an old derelict house. I stopped the car and got out, just as Georgia does in the story, to stare across the river Wenning and through the trees surrounding the house. 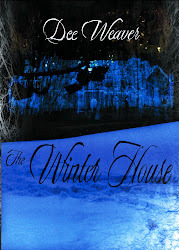 Broken windows, a hole in its roof, it looked so abandoned… and familiar... and the seed for The Winter House was sown. If you go to Amazon and click on this link, you can download the first couple of chapters to get a flavour.